Although there’s a correlation, I don’t think it’s that simple – even in these sectors, there’s a strong generational effect as can be seen from attitudes in the relevant trade unions (Unite, Community, to some extent the GMB). As suspected, it was getting on for level between Labour and the Tories, with strong Green support (and strong Lib Dem support compared with their overall performance) and very little support for UKIP. I’m not quite clear on their methodology, they seem to have a panel selected to be representative and then poll them annually. HH – That was a wholly unnecessary retelling of an encounter that has virtually no relevance here. That someone said that to you is hardly a shock There’s always someone who’s desperately unhappy with their life. That story will have distressed more than few people reading this blog. “Thousands of West Indians have settled in SE London after being invited by Enoch Powell et al, and the vast majority helped us rebuild our city by working in the transport and health sectors. They have also undoubtedly added & enriched our economy & culture; in particular thru music and also significantly improving our sporting teams”. Regardless of this hope, I would ask you to write to the moderator of this blog and request for your contribution to be deleted. Ian – great post which rings true for me as well, though I’m younger than you it applies equally well to memories of the 80s for me. Warofdreams – if the Tories were almost level on gay voters who were prepared to self-identify on a Pink News poll, they will almost certainly be ahead of Labour if you include the large numbers of discreet gays and closet cases. Indeed the fluidity of who exactly is encompassed by the term “gay” these days makes those polls pretty irrelevant IMO. Young people dabble around in their sexuality far more these days than even 10 or 20 years ago. I made it clear I totally disagreed with her views though, being very young and less confident at the time, I regrettably did so with less forcefulness than I’d have done so today. I agree with your view on the positive contribution immigrants have made to society but cannot agree that my post has “no relevance” to a discussion started by others about how attitudes amongst Tory members and the general population have changed. If Anthony wishes to moderate the swearing I’ll respect that,. HH – I agree, I’m very dubious of their claim that their panel is actually representative for the reasons you give. Worth noting, though, that the level of Conservative support was significantly lower than for the population as a whole. I wish you would stop lapsing into Katie Hopkins mode from time to time. This is a website to discuss psephology, polls & elections not an outlet for proselytising odd and unacceptable views. And your comment that the old Tory lady’s comment, (that were made in c. 2001) were mainstream is nonsense. Far from being an odd and unacceptable view, seems almost all on here agree that political parties are much gayer than the general population. If you use ‘mainstream’ to mean what most people take it to mean i.e, the ideas, attitudes, or activities that are shared by most people and regarded as normal or conventional- then you are talking out of your backside. Those comments were never mainstream in the GB. They were probably last mainstream during the 19th century slavery days in the US. And even then and there, only in the Southern states. In my own family I know that my Great Aunt, who has dementia, sent a live-in carer that she had agreed to have away because she was black. My Grandpa, who is stone deaf and has lived on his own for 30+ years, has views on Eastern Europeans that are also rather unsavoury. I’m sure lots of other old people, especially isolated old people who don’t often communicate with people who can put them right, are also quite racist. They grew up in a country that was almost wholly white and have struggled to come to terms with the change. It doesn’t really concern me much as most of the people that still hold these views will be dead before long. Few people under the age of 70 think that way these days and none (or a very tiny amount) in positions of responsibility. I think it applies to the EU issue to a certain extent as well. Alright, some old people in GB of Northern Europe ancestry can hold Un-reconstructed views on race &/or ethnicity. But at least the immigrants in GB were invited and have arrived legally. IIRC you were telling us you were politically active in the early 80s? Based on that you must be in your 50s at least. Which, you’re right, isn’t really old these days. Was only joking. Not quite- I said to BARNABY that I was helping Labour during elections before he had reached the 6th form. But I will admit to you I’m not far off 50. And since we are all recounting stories of old people being racist and I need to tell you about my Eastender grandfather who was gassed at the Battle of the Somme 100 years ago. Despite being physically and psychologically damaged by his experiences at a very young age, I never heard him once say anything hurtful or vicious about someone’s racial or ethnic origin. This may have had something to do with the fact that he went to India for many years just after the First World War & fell in love with the place, while realiing the intrinsic inequality and brutalism of imperialism. He died at an old age, still occasionally going to dominoes matches, betting shops and curry houses where he loved the company of the people there just as much as he enjoyed any other people’s company. As Barnaby is comfortably over 50 you must have been canvassing for Labour aged 10….how very William Hague and Justin Hinchcliffe. On the racial issue perhaps we can agree that many of us have had different experiences, much of it based on the class and geography we were born into. Mining areas such as where I grew up being far more small-minded than the London you grew up in. I wasn’t canvassing at 10 but I used to do leaflet drops in my pre teens to pay for my Warhammer collection. I guess when you are from a family of activists you tend to get thrown in at a early age. Certainly after my father died when I was seven and mum couldn’t get a sitter I was dragged along to canvasses, meetings and committee rooms. I distinctly remember sitting in committee at county hall playing with toy soldiers in the corner. How sad to lose your Dad so young. Remarkable that your Mum kept up her political involvement after all that. She had to retire from county for 10 years or so because she had to go back to university and qualify as a social worker as she was only working part time until then. However, I’ve always admired the effort mum continues to put into the district council. Looking at the Green endorsements for the upcoming elections. In Hull (where they aren’t standing due to an admin error) they’ve endorsed several Lib Dems and TUSC. In Wales they’re supporting Plaid in seats they aren’t contesting. In London they’re not endorsing a second preference (and Jenny Jones has endorsed Goldsmith). In Bristol a leaked letter has them endorsing George Ferguson. Caroline Lucas seems more often at odds with her party than not. I expect most Green voters (and members?) in England would have Labour as their second preference. The decision not to back Sadiq is perhaps slightly surprising, though I doubt it will stop most of their voters from giving him their second preference. Natalie Bennett is not re-contesting the Green leadership. Possible Caroline Lucas might stand as having a less well known and frankly less effective figurehead didn’t really work for them in 2015. Natalie Bennett is a great organiser/strategist but a poor communicator. Her ideal role would be party chairman. Her gaffes in the run up to the last year’s election were just brutal. The worst ones included Sunday Politics with Andrew Neill and LBC with Nick Ferrari. If you think Jeremy Corbyn or Ed Miliband can’t take the heat while in the spotlight, Natalie Bennett makes both look like slick media performers in comparison. I’m not sure Caroline Lucas will do it to be honest. I reckon it will be Sian Berry. Scratch that, Guardian have reported Sian won’t be standing. Maybe it will be Amelia Womack but the Greens performance in Wales doesn’t look good for her. Shame Sian Berry isn’t standing. Other than Caroline Lucas, she strikes me as one of the other Greens who probably won’t muck up in the media. It does seem a strange move. My impression was that her performance in the London Mayoral race would be a springboard for her leadership. She increased the Green’s share in London and secured third despite a revival of UKIP in London. Moving on the leadership seemed the obvious step. Clearly not. Sian Berry can’t stand. The rules dictate you have to be a party member for a least 4 years continuously and she left for a few years before returning in 2014! It is also noted by people I know in the Greens (I am Labour these days) that they got the worst Assembly list vote ever and just held onto the second seat in the Assembly. Getting 6% for the mayoral part is fine but of course there is no prize for a poor third! Suspect the Greens will further plummet as we pick up their former vote! She left and then came back? Any particularly reason why? The Green result in London was better than I expected. With Corbyn attracting some of their ex-voters back to Labour I thought they’d struggle to hang on to their second list seat and might slip to fourth or fifth in the mayoral, but in the end they kept their two Assembly seats fairly comfortably and improved their mayoral vote share. She also raises the prospect of electoral pacts. We’ve discussed this on here before and I’m not really clear why Labour would stand down in any seats (not to mention the uproar this would cause among the PLP and some members). If the Greens want to stand down in certain marginals to help stop the Tories then that’s up to them, but I’m not sure they can expect much in return. The Greens asking Paul Blomfield to stand down in Sheffield Central would be met with a suitably blunt two word response. Well it would certainly help Labour a little bit if the Greens chose in certain marginals it would probably benefit Labour to the tune of about 5-10 seats at the next election if these marginal were very carefully chosen. However it would help them by no more than that seen as the Greens typically do very poorly in most Con-Lab marginals anyway. However there is simply nothing Labour can give the Greens in return (except perhaps giving some vague promise to Caroline Lucas about giving her a certain degree of influence in any Labour led administration) for the simple reason that the only seats that the Green Party could ever hope to win with no Labour candidate are already Labour held seats! Thus the chances of Labour standing down in such places is zilch. Corbyn has moved Labour squarely on to the Green’s turf and so if anything the Greens will be even more of an irrelevance in 2020 than they were in 2015 (assuming Corbyn is still leader by then). The opening for getting votes is in the centre at the moment not on the left. The seats where the Green vote was larger than the Tory majority over Labour in 2015 were Derby North, Gower, Croydon Central, Bury North, Morley and Outwood, Plymouth S&D, Brighton Kemptown, Telford, Weaver Vale and Bedford. It was also larger than the Tory majority over the LDs in Eastbourne, Lewes, Twickenham, St. Ives and Bath. Of course that is not to say the Tories would not have won any of them if the Greens pulled out, though the nature of the Green vote suggests Labour/the Lib Dems would probably have won a fair few of them. As I say if the Greens feel that they shouldn’t contest these then that’s up to them but I don’t think there is any deal to be made that would be acceptable to other parties.. And, of course, it is hard to precisely pick which seats to drop out of if you wanted to – you might end up dropping out of seats you didn’t need to and still standing in seats that end up being uber-marginal. Absolutely. Though what I would say, and have said before when we’ve discussed this, is that Greens are generally much more solid in their preference for a Labour rather than Tory govt. than ‘kippers are in having any preference for a Tory rather than Labour govt. Many UKIP supporters hate the Tories as much or more than they hate Labour. Re electoral pacts a lot of people here clearly haven’t done much research on the issue. The Greens have never proposed Labour standing aside in seats Like Sheffield Central or Bristol West, they are fully aware that would be met with two fingers. 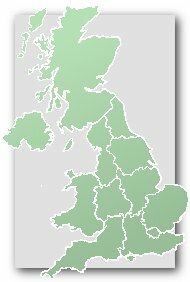 The two seats that I used to constantly hear mentioned when I was a Green (including from official party emails and such) was Bath and the Isle of Wight. Seats were the Greens had decent results and Labour has no chance of winning. The other thing the Greens want is for Labour to stand aside in Brighton Pavilion. With Lab being the only real challengers, Lab standing aside would probably turn this into a Green fortress were they don’t need to waste resources campaigning. The Greens argument is (FWIW an argument I still agree with) that its stupid to put so much effort into beating an MP who you agree with on 90% of issues when you have two Con/Lab marginals next door. Thus at a minimum Lab standing aside in Pavilion would surely net them the Greens standing aside in the 10 seats where the Con majority was less than the Green vote. Because the number of seats where Labour stands a chance of winning without a Green presence dwarf the number of seats where the Greens stand a chance of winning without a Labour presence. And Labour will be understandably reluctant to countenance any sort of “progressive alliance” given the recent behaviour of Plaid in the Welsh Assembly. Caroline Lucas actually wrote a piece about electoral pacts just after the election and in it she even explicitly said that the Greens need to be realistic and accept they’d be the minor partner and can’t expect a quid for quo deal. She said it had to obviously be negotiated but a “1 for 10” type arrangement would be fair. Also at the risk of dragging up this old argument and having Pepperminttea bite my head off 😉 I’d argue that UKIP cost Lab more seats than they did the Tories. There is quite a lot of evidence to back that up. Note I’m not talking votes I’m talking seats. The Greens would love that but as has been discussed that won’t happen, Lab will not sacrifice a seat they currently hold. The most they’d be willing to accept is standing aside in Pavilion (a seat which is probably lost to them so long as Lucas is MP) or no hoper seats like Bath or the Isle of Wight. I concede that the type of arrangement Rivers describes may be electorally advantageous to Labour (I’m not sure it would benefit the Greens all that much, and there is the quite realistic danger that the Green stand aside what ultimately prove to be the wrong seats – Derby North etc. may not be the ultra-marginals in 2020). But I don’t think it would be accepted without a major backlash from people in the Labour party who reject the idea of any co-operation with the Greens. And the Tories would love to be able to point out to centrist voters that Labour are already in bed with the Greens. Undoubtedly the whole arrangement is mired with potential pitfalls, risks etc and ultimately it might all be for naught, and I also admit I can’t see it happening unless Labour get a really good offer from the Greens, something along the lines of the Greens not standing in ANY marginal seat in exchange for non existent Lab campaigning in the likes of Pavilion, Bath etc and maybe the offer of a minor ministerial role for Lucas should Lab form a government? FWIW though obvious the Tory attack line of “Labour being in bed with the Greens” is hardly likely to make much difference with Corbyn in charge. Anyone susceptible to that line of attack will have already bought the “Labours in bed with Hamas, Hezbollah, Argentina and Fidel Castro” lines. Hell diverting focus to the Greens might just dilute how supposedly evil Labours partners are and actually render the Tory attack line LESS effective than it currently is. How many seats did Labour win where the majority was smaller than UKIPs share?